San Diego Padres history is short and sweet. Well, perhaps not sweet, but it is most definitely short. Plain and simple, there isn’t much to be proud of if you are a fan of the San Diego Padres. That is just the reality of the situation. However, the current regime is hell-bent on correcting that issue and turning things around in America’s Finest City. 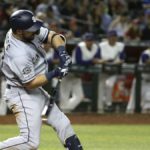 The Padres will be relevant in the National League soon, and you can already see the progression. Building a winning attitude and changing the culture of a team takes time though. One way to help expedite the process is by embracing the past of the team. No matter what the past entailed, it is what shaped the San Diego Padres and their fan base. The losing seasons. The fire sales. The bad trades. They all happened. You cannot undo what has been done. You can only move forward. Hiding from your past only makes things worse in the long run. We are currently living that nightmare now. On November 14, 1989, the franchise celebrated very briefly as one of its players won the N.L. Cy Young Award. 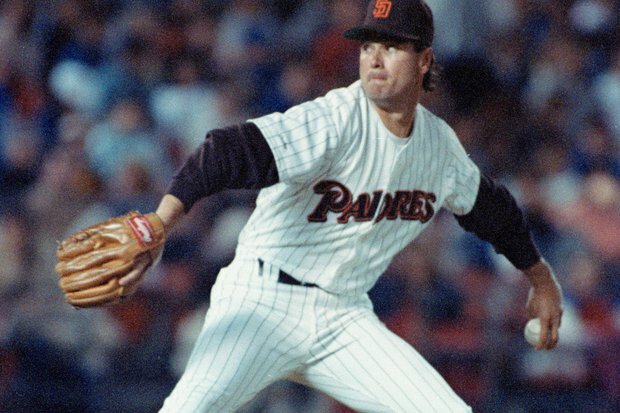 Left-handed closer Mark Davis won the award after posting a 1.85 ERA and saving 44 games for the Padres. 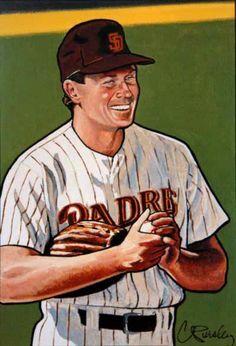 He was the team’s third recipient of the award, following Randy Jones (1976) and Gaylord Perry (1978). It was a really great time for Padres fans, although they had little time to enjoy it. Davis won the award in his contract year and was in the middle of a brutal contract battle with the team. In fact, he held the award for only 28 days as a Padres player before ultimately signing with the Kansas City Royals. The fan base had absolutely no time to bask in the glory of having a Cy Young award w. It didn’t have to happen that way though. Davis and the Padres went into the offseason negotiating really well with each other. 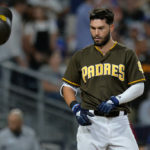 Davis had every intention of staying a Padre and had told his agent to get a deal done with San Diego. 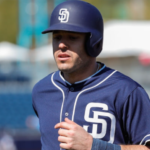 His first offer from the Padres came in at three-years and $5 million, not even close to being acceptable in the eyes of Davis’ representatives. So he chose to meet with other teams to nudge the Padres in the right direction as far as commitment and money. General manager Jack McKeon responded with a three-year deal at $5.4 million, and then another offer of three-years at $6.9 million. Davis and his representatives were still not happy, as they sought a four-year contract for the lefty. The Padres balked initially, but after Jack McKeon met with owner Joan Kroc, the team came back at four-years and $12 million. An annual salary of three million per season and a four-year commitment to the pitcher. Pretty much exactly what Davis wanted. The Padres made it clear that was their top offer and they would not go higher. The signing of Mark Langston by the Angels to a five-year/$16 million deal threw a monkey wrench into the whole situation. Davis and his camp now required a five-year deal, and that is when things fell apart. Immediately, McKeon went looking for a replacement for Davis and didn’t have to look far as he brought in Craig Lefferts to discuss a contract. Coincidentally, Lefferts was traded for Davis in a 1987 package deal with the Giants. The Padres and Lefferts were a great match and the left-handed pitcher signed a three-year deal at $5.4 million (The Padres second offer to Davis). It was done. Mark Davis would not return to San Diego. Davis and his representatives were upset knowing that the signing of Lefferts clearly meant as a Padres pitcher was over. He moved on quickly and signed with the Kansas City Royals for $13 million and four years. 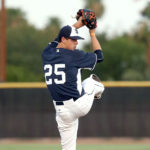 He reportedly spurned higher offers from the Angels, Yankees, and Phillies, in which he received multiple five-year offers. His agent stated the $3.25 million he received from K.C. was the highest annual offer he was given and they took it. He would get $1 million more than his best offer from the Padres, but you have to wonder, if he could have done it over, would he? The native Californian was certainly happy pitching at home for the Padres, and comfort is certainly an important part of the game. Being in a comfortable place makes playing a game, full of constant defeat, a whole lot easier. With the Royals, Davis got shelled. He would only last three years there and would record a 5.31 ERA in 167 innings pitched. He recorded only seven saves as a Royal and was immediately branded one of the biggest free agent busts in the history of the game. 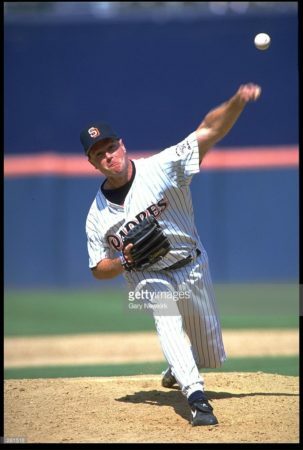 I often wonder how those early 90’s teams would have been with Davis at closer instead of a mixture of Greg Harris, Larry Anderson, Jose Melendez, and Craig Lefferts. You have to embrace the history of the team, and Mark Davis is a vital part of it. 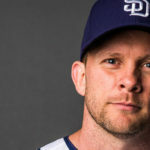 So why, despite the fact he is one of only four winners (Jake Peavy 2007) of the prestigious award in Padres’ history, is he mostly unheard of and unknown to the younger Padres fans? In fact, if you asked most 18-28-year-old Padres fans who Mark Davis is, they would answer that it’s the current owner of the Oakland Raiders. That is how much he is forgotten in the history of the team. And that, frankly, is a shame. But why is that? Why has he not been embraced by the team? 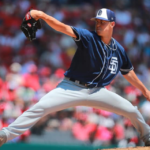 What did the lefty do to be blackballed from the Padres? Okay, maybe he isn’t exactly shunned from the organization, but he isn’t clearly visible either, despite winning the coveted award and having three excellent years with the team (1987-89). Was it because he left the team seeking more money? That is a shame, but to my recollection, he has never stated anything negative about the Padres’ organization. Winning a Cy Young Award as a reliever is not an easy thing to do, but he did it. Davis beat out some very respectable starting pitchers in 1989 to win the award. Mike Scott finished second in the balloting that year as he went 20-10 on the year with a 3.10 ERA. Third in the vote was a young Cubs hurler named Greg Maddux, who went 19-12 with a 2.95 ERA. The fourth-place finisher was Orel Hershiser, who went 15-15 with a 2.31 ERA and amassed a 7.0 WAR rating. Davis earned a 4.5 WAR rating for the year, for what it is worth. Obviously at the time, 25 plus years ago, WAR was unheard of and wins and losses were like the word of God. With 15 losses, despite no run support, Hershiser was not even considered. He did receive one first-place vote, so kudos to the writer who was ahead of the times. Mark Davis was a no. 1 pick in the 1979 January draft, an annual draft they used to hold each year in addition to the June draft in which most junior college players were chosen. Davis was drafted by the Philadelphia Phillies with the first pick out of Chabot College in Hayward California. In that draft, Otis Nixon was selected by the Angels and Howard Johnson was selected by the Tigers. 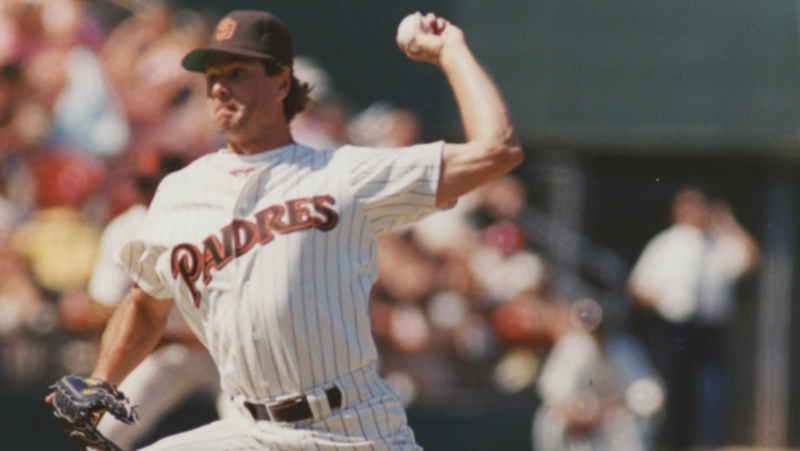 Mark Davis was an extremely useful pitcher for the team and was the best player (sorry Mud) acquired by the Padres in the seven-player deal with the Giants in July of 1987. 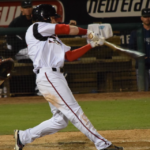 The Padres also received Mark Grant, Chris Brown, and Keith Comstock in addition to Davis for the services of Dave Dravecky, Craig Lefferts, and Kevin Mitchell. Obviously, the power-hitting Mitchell was the best player in the whole deal. Mitchell was 25 when the Padres acquired him in a package deal for Kevin McReynolds. He hit .245 with seven home runs in almost 200 at-bats with the team. Respectable numbers, but as a Giant, he took off, hitting 143 home runs in five years with the Giants, including 47 in 1989 when he won the N.L. MVP Award, hitting .291 and driving in 125 runs for the World Series runner-up Giants. The Padres got the most out of Davis as he went 14-20 with a 2.75 ERA as a Padres pitcher. In fact, his ERA would be among the team’s all-time lowest ERA if he qualified. For some reason, his 308 innings are not enough to justify the distinction of lowest career ERA. That is reserved for Trevor Hoffman and his 2.76 ERA. Again, no claim of a conspiracy theory or anything. Just very peculiar that he isn’t given more “love” for his accomplishments. In his three seasons with the team, Davis recorded 78 saves and struck out 298 batters while recording a 1.260 WHIP. One day, this franchise will have a World Series trophy. And when that happens, the victorious team will be hoisting that trophy for generations of Padres fans, and more importantly, generations of ballplayers. From the first squad in 1969 to the current 40-man roster, the feeling of earning that championship will be felt by all. Players like Mark Davis need to be embraced by the franchise. They need to be celebrated for their accomplishments and the younger fans must be educated about who they are. In order for progression to take place in this organization, this MUST happen. Embrace the history and accept it. It starts with players like Mark Davis. Make it happen, the Padres front office. Make it happen. Show the man some love. Early last week, I spoke to Randy Jones, who is head of the Padres’ alumni division. He told me that he dreams of a day when we honor all the Cy Young award winners that the Padres have. Jones, Gaylord Perry, Mark Davis, and Jake Peavy on the field at the same time would be instantly categorized the best moment in the history of the Padres. It’s a no-brainer. I’m old enough to remember Mark Davis leaving the Padres right after winning the Cy Young award. It left a bitter taste in the mouth of Padres fans — especially after Joan Kroc offered him $12 million (which she was very reluctant to do). I remember listening to Hacksaw Hamilton on the radio and hearing all the angry callers denouncing Davis as a sellout. Maybe not entirely fair, but he left under bad terms, and he did not have a particularly great career.